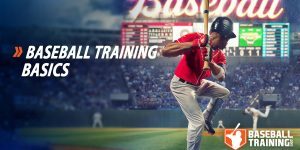 Working on baseball skills with specific exercises is not the same thing as working to improve force generation and neuromuscular coordination patterns, which then transfer into targeted baseball movements (such as the swing or the pitch). 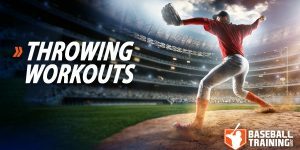 Coaches who are unaware of the difference between these factors take things to a silly level by advising athletes to attach resistance bands to their bats and start swinging against the resistance. Loading a baseball skill in this manner completely misapplies the training principle of specificity – and better represents a lack of understanding of how to use specific exercises to improve functional outputs in baseball athletes. The reality of improving a baseball athletes’ ability to perform a skill is not about replicating what the movement pattern looks like, but about replicating the specific force-generation patterns involved in the specific movement skill. Put another way, when training focuses only on what an exercise looks like, one can easily make the colossal mistake of loading sport-specific skills instead of working to improve the specific force generation patterns used to perform the movement. The biggest problem that arises from this type of thought pattern in the fact that sport movement skills (pitching, hitting, catching, etc.) all involve accuracy components that are not just similar, but exact. 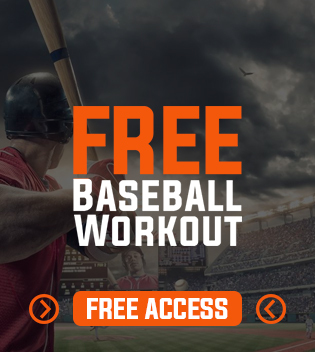 For example, consider the multiple studies on the use of weighted bats in baseball. 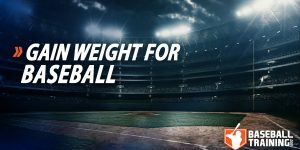 Contrary to popular opinion, studies looking into this have found that the heavy bat not only alters the batter’s perceptions of bat weight and swing speed but also demonstrate that the batter’s swing speed is actually slower for as many as five swings after using the weighted bat. Of course, plenty of players like to warm-up using the weighted bat, but the smartest ones will also take several swings with a normal bat to normalize their skill expression before stepping up to the plate. Shoot 10 free throws with a basketball. Then, shoot 10 free throws with a 4kg medicine ball. You will quickly find out that you had to alter your skill expression to different movement mechanics just to get the medicine ball to the net (which hurts your sport specific coordination patterns), and your shots with the medicine ball will all likely come up short until you zero-in on what type of strength will be required to shoot the ball the right distance. Then, when you go back to the standard basketball, your first few shots are likely to go over the backboard or bang it hard because the weight is so much lighter. From here, you will need those first few shots to re-establish your motor patterns to your real sport-specific skill before you start draining them again. Training program design is rooted in so much more science and physiology than most give respect to. You need to understand the principles of program design and apply the correct methods appropriately to gain a desired result. In this case, always make sure you go back to a normal bat for a few swings before you step up to the plate – because if you don’t, the science would suggest you just might not be your best. Are you ready to start crushing the ball every time you step up to the plate? Then it’s time for you to get on a Baseball Hitting Program that covers bat speed and hitting power from all angles. Check it out here.